My name is Honey Dew. I'm a a darling bunny - smallish, sweet, calm. I enjoy a good petting and don't mind being held. I can help you meditate as you stroke my soft pretty fur. I can reduce your stress when you sit next to me and let me cuddle up to you. I was sad after being left at a city shelter, but I'm very grateful to have a chance to find a forever home through SaveABunny. 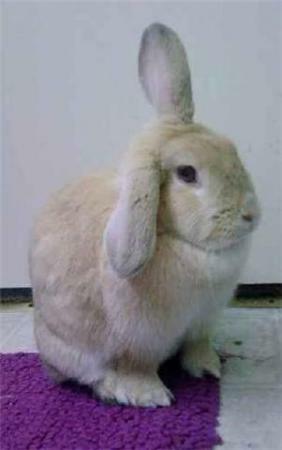 I'm just a mellow bunny looking for a loving family. I can be your perfect house bunny!